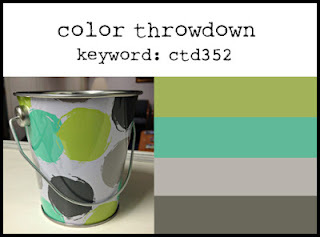 Today is my day to share my Color Throwdown card with you. I used some of the newest My Favorite Things stamps and dies make my card. I love new releases!!!! It's happy mail to the max! This week's color palette was easy to work with. I really enjoyed making my simple little birthday card to share with you. I can't wait to see what everyone makes for this week's challenge. You still have plenty of time left to create and share your project. You can click right here for the link to join the party. What a sweet, fun CAS design! Love the little hint of sparkle! So glad you were able to play along again at CTD! Super cute design, Susie! Thanks for joining us this week! Adorable!! 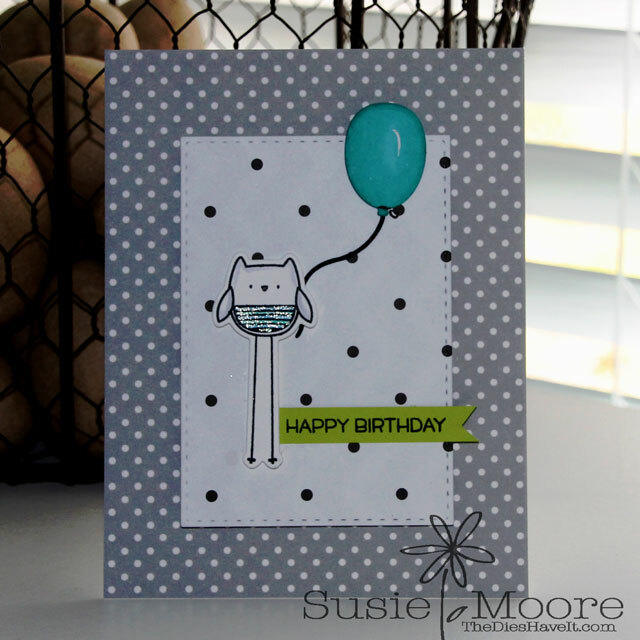 Love that sweet bird with a balloon and the polka dot background!! Glad you joined us for CTD! !